My mtv.com column this week is about movie adaptations (both made and unmade) of Alan Moore comics. Which forced me to go back and look at some stuff I haven't in a while. 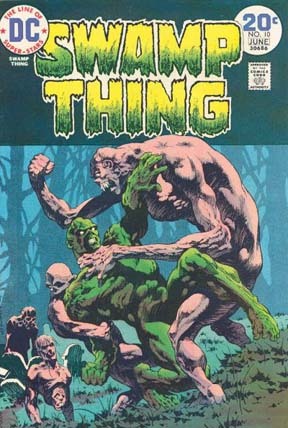 And as much as my mind was blown by Moore's SWAMP THING in the '80s, my heart still belongs to the Len Wein / Berni Wrightson Swampy comics of the 1970s. 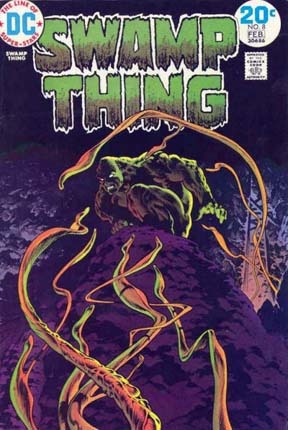 At left are the stunning covers to SWAMP THING #8 (which I can still remember buying at the Pennsupreme drug store near my Uncle Ernie's house) and #10, both from 1974.